Come into comfort and coziness at our Prenatal Yoga classes. Prenatal Yoga Class at Fondin Wellness has up to 8 expectant moms keeping the environment intimate and friendly. We begin each class with an introduction to each other, present a pregnancy weekly topic, do breathing techniques, Kegel exercises and 60-minutes of gentle yoga poses appropriate for pregnancy. Total class time is 75-minutes. Each Prenatal Yoga Class is tailored to help prepare you for labor and delivery. Instructor, Michelle Fondin, has been teaching Prenatal Yoga for over seven years, has three children and practiced prenatal yoga with her third pregnancy. 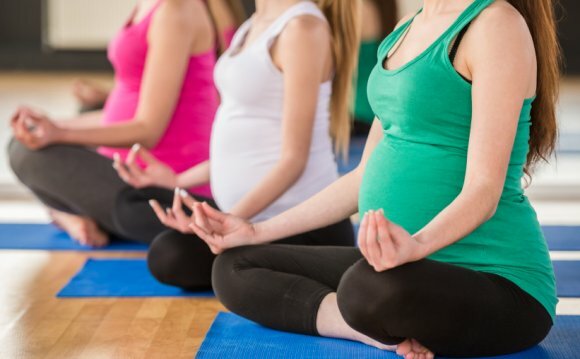 Prenatal Yoga Classes meet in Herndon at Michelle’s Home Studio in Franklin Farm Mondays at 6:45 p.m, Fridays at 5:45 p.m. and Saturdays at 9:30 a.m. Two days per week is recommended for optimal health. Four times per year we offer a Couples Prenatal Yoga Workshop designed for childbirth preparation with your partner. Upcoming workshop: March 4, 2017 from 1-3 p.m. (Space is limited to 4 couples). Get on the list for more details: michellefondinauthor@gmail.com.